DNA Can it help me find my ancestors? McMurray and Jackson Family Overview…. Margaret Ann Brown was born 21 June, 1837 in Hastings Co., Ontario to George Brown and Esther King Brown. She was baptized at the St. Thomas Church on 21 June, 1837. Her brother John was also baptized at this time. Source: Mariette Ann and John Brown, baptized 10 Feb 1839, 7-B-3 St. Thomas’ at Belleville Mariete Ann, born on the 21st of June 1837 & John, born the fifteenth of September 1838, children of George Brown of Rawdon & Esther his wife were baptized on the 10th day of February 1839 by me, _______Parents – Sponsors, Anglican Diocese of Kingston. Margaret married Francis or Francois Lamott/Lamotte on 18 January, 1858 in St. Clair Co., Michigan. Francois Lamotte/LaMotte/Lamott was born about 1836 in Ontario. In 1871 Francois Lamott and Margaret are living in Enniskillen, Lambton Co., Ontario. Source: Francois Lamott Family, 1871 Canadian Census, Enniskillen, Lambton, Ontario, pg. 48 Dist, 4 Lambton, SD, Enniskillen Div. No. 1. Line 2, 170, 173, Lamott, Francois, M, 35, O, C of E, French, Teamster, M, Lamott, Margaret, F, 33, O, C of E, Irish, Lamott, Matilda, F, 12, French, Lamott, Francis H, M, 10, Lamott, George, M, 8, Lamott, Ida J., F, 5, Lamott, Kate, F, 3, Lamott, Margaret A, F, 1. Children are listed as French. All born in Ont. Tragedy struck and Margaret died on 3 October, 1879 in Lambton Co., Ontario. Source: Death of Margaret Ann Lamott, Oct. 2, 1879, Lambton, Ontario#4, Margaret Ann Lamott, Oct, 2, 1879, Female, 42 yrs, 3 mos. 11 days, matron, born Co. Hastings, ont., died of inflammation 10 days ill, Dr. Demfield?, John Brown oil man – Merthanlee?? Informant. Oct. 3, 1879, Ch. of E. John F. Wilson #006585. I have tried to find Francois or Frank Lamott/Lamotte in the Canadian Census and the U.S. Federal Census, after the death of his wife Margaret, but I have not been successful. However, there is a marriage of a Francis Lamotte male born about 1838 in Ambertsburgh, Ontario. He married on 16 February, 1880 in Port Huron, St. Clair, Michigan age 42 residence Petrolia, Ontario. The spouse is Emma Reynolds age 36 born in Brighton, Ontario. residing in Petrolia, #242, 20 1880 Marquette – 1881 Berrien. Could this be him? Francois or Frank and Margaret may have had eleven children. I have attempted to find information about as many of the children as possible but it has not been easy. so please use the following with care. Because there is only one census of 1871 showing the Francois Lamotte Family it is making it hard to determine the actual names and number of children born to the couple after 1871. Matilda Lamott was Eliza Matilda Parks who died June 23, 1934 in Petrolia, Lambton Co., Ontario. Source: Death Certificate for Eliza Matilda Parks, Petrolia, Enniskillen Twp., Lambton Co., Ontario, Walnut Street, #019612, 292. Female, French, widowed, born Wisconsin on April 11,1858 age 76 yrs, 2 mos. 12 days. Husband was an Oil producer. 3 yrs in place of death and 75 years in the province. Father was Francis LaMotte, born in France. Mother was Margaret Ann Brown, born in Wyoming, Ontario. Informant Blake Parks of Petrolia, son. Buried Hillsdale Cemetery June 25, 1934. Undertakers Steadman Bros. Died june 23, 1934, cancer of the liver. 2. Francis H. Lamott b. about 1861 in Ontario. 3. 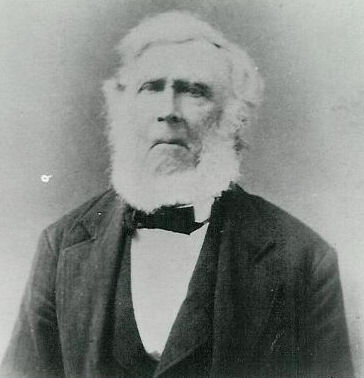 George Lamott b. about 1863 in Ontario. I have a marriage for George and he appears in the 1891 and 1901 Canadian Census. Source: George Lamotte Marriage, Ontario Canada, Marriages 1801-1928, George age 23, born about 1863 in Petrolia, Ontario. Married on 3 March 1886 in Middlesex. Father Francis Lamotte and mother Margaret Ann Lamotte, Spouse Margaret Blair age 27 born about 1859 in Canada. Father Andrew Blair and mother Elizabeth Blair. Source: 1891 Canadian Census, Strathroy, 93 Middlesex West, Ontario, page 27, H. No. 2 Ward Town of Strathroy, enumerated on 25 day of April 1891 by John Lau…..
Line 17, 10 1-1/2/9 148, Lamotte, George, M, 28, M, born Ontario, father born US, mother was born in Ontario, Presbyterian, grocer. Lamotte, Margaret, F, 33 M, W, born Ontario, Lamotte, Gordon, M, 4, S, born Ontario. Lamotte, Zethal G., F, 1/12, born Ontario. Blair, Julia, F, 35, SinL, born Ontario, parents born Scotland. In 1901 George and Margaret Lamotte are still in Strathroy with their children: Gordon, Zella G. and Roscoe G. Margaret’s sister is still with them Julia Blair and a niece Agnes J. Blair. They are still there in Strathroy both George age 48, Margarett age 52 and Roscoe age 16. In the 1921 census he is living now in London, Ontario age 58, and Margaret is age 63. George may have migrated to California, There is a marriage of George Lamotte on 22, January 1947 in Los Angeles, CA of a male age 83 born 1864, Father Frank Lamotte, mother Margaret Brown.  Spouse Lola M. Spratt age 78, female, born 1869, father Abjah Chapman and mother Nancy Fetty. California County Marriages Records, FamilySearch. There may be another marriage for George in September 22, 1947 to a Elmyra M. Morton, in California. 4. Ida J. Lamott b. about 1866 in Ontario. I have a marriage for Ida Josephine to a David Mann. She does appear with the last name of Campfield as a witness to her sister Kate’s marriage, see below. Source: Ida Josephine Lamotte, Ontario, Canada, Marriages 1801-1928, Ida age 21 born about 1866 in Marthaville, married on 1 February 1887 in Lambton. Father was Francis Lamotte, mother was Margaret Lamotte, Spouse David Wallace Mann, age 22, born about 1865 in Adelaide, Ontario, father Mark Mann and mother Sophia Mann. 5. Kate Lamott b. about 1861 in Ontario. She married on 5 June, 1889 in Port Huron, St. Clair, Michigan to James Stocks b. about 1861 in Canada. Source: Kate LaMotte, female, white, born about 1868 in Canada, Marriage date 5 June 1889, Port Huron, St. Clair, Michigan age 21. Residence Port Huron. Spouse James Stocks, male, white, age 28, born in Canada, residence Port Huron, father Ballentine Stocks and mother is Jane Brown, Record#780, Film 40 1889 St Clair-1890 Eaton, page 268, carpenter, Pastor John McCledowney, witnesses Maggie LaMotte and Ida Campfield. 6. Margaret/Mary A. Lamott was born 13 October, 1869 in Lambton Ontario (per Ontario birth index family search) and she died 27 May, 1938 in Portland, Multnomah Co., Oregon. She married about 1890 to a Mr. Stone. See is a witness to her sister Kate’s marriage. 8. Erastus Lamott b. about 1876 in Ontario. I am wondering if the name is really Ross Albert Lamotte, I have not found anything documents for Erastus. Ross married on 27 March 1901 to a Isabella Corbett in Glencoe, Middlesex, Ontario. He was 27 years old born 1874, his father was Frank Lamotte and mother Margaret Brown. The Spouse was Isabella Corbett age 19, born about 1882, her father was Wm. Corbett and mother Eliza J. Ontario Marriages 1869-1927, Index. 9. Horace Lamott b about 1876 in Ontario. I have a marriage for Horace to Annie. Source: Horace Lamotte Marriage, Ontario Canada, Marriages 1801-1928, Horace age 19, born about 1874 in Petrolia, Ontario. Married 2 August 1893 in Elgin. Father Frank Lamotte and mother Maggie Brown Lamotte. Spouse Annie Mills age 18, born about 1875 in England, Father James Mills and Mother Annie (Reid) Mills. Marriage location Port Stanley. In 1901 there is a Horace T. Lamotte age 25 born 25 April 1875 in Ontario, French, Methodist occupation sand buffer living in Middlesex in London. His wife is Annie and a child names Lenord E. This is a strong possibility that it is Horace because George Lamotte is living in Strathroy at the same time. 10. Mina Lamott b. about 1877 in Ontario. 11. Emma Lamott b. about 1879 in Ontario. I am still wondering about Erastus and Ross Albert Lamotte? It is possible that several of the child died young but I was unable to locate death records. This would make the count of children born 12 if these are two separate children. At this point obituary notices for some of the children might reveal what happened to them and their father. A cousin believes Francis died in the US and that might be possible. More research needs to be done on this whole family and hopefully the above gives more clues, but it is time to move on. This entry was posted in Belleville, California, George and Esther Brown, Hastings Co., Lambton Co., Lamott Lamotte LaMotte surname, Margaret Ann Brown and Francis Lamott, Michigan, Middlesex Co., Ohio, Oregon, Petrolia Village, Plympton Township, Strathroy and tagged Genealogy in Lambton County Ontario, Genealogy in Middlesex Ontario, George & Esther Brown Family, Lamotte genealogy, Research between Canada and US on October 30, 2015 by BJ MacDonald. In past posts on this blog, I have shared about the lives of George Brown and his wife Esther King Brown. Let’s review what has been written about this couple, who are my 2nd great grandparents. Their son Richard Brown married Emma Ward and settled in Winnipeg, Manitoba. Their daughter Ethel Adella Brown Boardman is my grandmother. Here is a list of posts I have written that share information about George and Esther King Brown. You can review them by using the Archive box on the right of this blog and choose the month and year. In 2012 and 2014 I traveled to Hastings County and did research at the archives in the area. Because George’s brothers Thomas and Philip stayed in Hastings Co. I found much more information about them and their lives then I did about George and Esther who migrated from the area and settled in Wyoming, Lambton County by 1858. Apparently George was very restless and he again migrated to Lapeer County, Michigan and was there by the 1870 census. Richard Brown 1846 – 1922: my line – Richard and his descendants have been featured in many posts on this blog. My research is a mix of a little of mine and several other cousins who have given me their consent to share. The children listed above eventually ended up in British Columbia, Manitoba, Florida, some remained in Lambton Co., Ontario and Michigan, and Oregon. Before I start sharing, I have taken a break and traveled to southern California. This involves the other side of the family, my Dad’s old New England heritage. His Delano/Keller connection and then follow that up with some fun. I will write about it in the blog titled: Solomon Goss of Fearing Twp. In Ohio. This entry was posted in British Columbia, Elizabeth Brown and Thomas Little Clement, Esther M. Brown and James Basna, Florida, George and Esther Brown, George King Brown and Maude Cecilia Hunt, Hastings Co., Jeremiah Brown and Elizabeth Steadman, John Brown and Lydia Holling, Lambton Co., Lapeer County, Manitoba, Margaret Ann Brown and Francis Lamott, Matilda Jane Brown & Wm C. Clements, Michigan, Oregon, Richard and Emma (Ward) Brown, Trip to Ontario and Canada 2012, Trip to Ontario and Canada 2014, William and Isabella McIntosh, William Henry Brown and Isabella Chalmers and tagged George & Esther Brown's life, Lambton County genealogical research, Michigan reserach on September 27, 2015 by BJ MacDonald. William Henry Brown b. abt. 1834 U.C., d. 1892 Brandon, Manitoba m. Isabella Chalmers 15 Jan 1861. They had 7 children. Migrated to Manitoba. Margaret Ann Brown b. 1836 Wyoming, Lambton Co., Ontario, d. 1879 Lambton Co., Ontario, Canada. Married Francis Lamott 18 Jan 1858 in St. Clair Co., Michigan and had 11 children. He remarried. Jeremiah Brown b. 1837, U.C. d. 1901 Wyoming, Lambton Co., Ontario. Married Elizabeth Steadman about 1868 and had 6 children. John Brown b. 1838, U.C. d. 1912 Eugene, Lane Co., Oregon. Married Lydia Holling 23 Oct 1861 Lambton Co., Ontario and had 5 children. Elizabeth Brown b. abt. 1840, Hastings Co., Ontario, d. 1893 Burnside Twp., Lapeer Co., Michigan. Married Thomas Little Clement and had 5 children. She was married before to a James Duncan and had 1 child. George King Brown b. 1842, Belleville, Hastings Co., Ontario, d. 1919 Oretga, Duval Co., Florida. Married Maude Cecilia Hunt 31 Jan 1870 Wyoming, Lambton Co., Ontario and migrated to Florida. They had 9 children. Matilda Jane Brown b. 1844, Belleville, Hastings Co., Ontario, d. 1930 Kelowna, British Columbia. Married William Charles Clement 23 Jan 1866 in Caradoc, Middlesex Co., Ontario and had 7 children and migrated to British Columbia. Richard Brown, b. 1846 probably Rawdon Twp., Hastings Co., Ontario, d. 1922 Winnipeg, Manitoba. Married Emma/Emily Ward 9 Jan 1874 Port Huron, Saint Clair, Michigan and had 4 children and migrated to Manitoba. Esther M. Brown, b. abt. 1848, Hastings, Ontario, d. 1886 Burnside Twp., Lapeer Co., Michigan. Married a James Basna 1 Jan 1867 in Lapeer Co., Michigan and had 2 children. She remarried 6 Jul 1875 in Michigan to Mark Robson and had 5 more children. Isabella Brown, b. 1851, Ontario, d. 1929 Grand Rapids, MI. Married William McIntosh about 1871 in Michigan and had 2 children. The information in the color orange was provided by my cousin Robert (Bob) M. Hayes a descendant of Matilda Jane Brown #7. He has more details and information and would be happy to share. The #8 Child: Richard Brown is my ancestor. If you are descendants please let us know. You can reach me by clicking on “Leave a comment,” at the bottom of this post or checking out my links under “Compiler,” above. This entry was posted in Brandon, British Columbia, BROWN Surname, Caradoc, Elizabeth Brown and Thomas Little Clement, Esther M. Brown and James Basna, Eugene, Florida, George and Esther Brown, George King Brown and Maude Cecilia Hunt, James Duncan, Jeremiah Brown and Elizabeth Steadman, John Brown and Lydia Holling, Manitoba, Margaret Ann Brown and Francis Lamott, Mark Robson, Matilda Jane Brown & Wm C. Clements, Middlesex Co., Oregon, Richard and Emma (Ward) Brown, WARD Surname, William and Isabella McIntosh, William Henry Brown and Isabella Chalmers, Wyoming and tagged BROWN Surname, George & Esther Brown, Lambton Co., Lapeer Co. Michigan, Ontario on December 4, 2010 by BJ MacDonald. The header photo will rotate now with pictures I have used before. The OGS (Ontario Genealogical Society) Collection has been moved to the main Toronto Library. In the October 15, 2016 OGS email online newsletter they have an article about their tour of the new facilities and how to access the documents using the catalogue. I visited the North York collection but that is now totally closed. It would have been interesting to visit the main Toronto Library but I didn't venture into the middle of Toronto on that trip. I wonder how parking will be handled? New pages have been added to help you find posts about family surnames written on this blog. Don't forget to move your mouse over the page topics at the top of the blog. You will find more information if you do.